Earls Court is becoming a popular location for both private and corporate tenants to relocate to due to it’s convenient transport links and stunning architecture. With the area bordering Chelsea, South Kensington and Kensington, Earls Court offers residents both young professionals and families access to the iconic shopping areas of central London and Hyde Park. Earls Court offers a fantastic variety of beautifully designed buildings, ranging from the Victorian period home to the increasingly popular mansion block. Local residents appreciate the long standing history in the area dating back to 879AD. As well as impressive buildings, Earls Court also offers a huge selection of communal garden access for residents who live on a garden square. Earls Court was home for Beatrix Potter (1866- 1913), Mahatma Gandhi (1888) and playwright Andrew Lloyd Webber (1964), as well as many other famous people. Earls Court continues to attract the young professionals and families to the area, with a unique selection of cocktail bars have recently opened in Earls Court Road. With a connecting Piccadilly line, Earls Court allows you to access the centre of London for fun and further night life experience. As availability for recreation areas go, Earls Court has an abundance of communal and private access gardens for the public to consider when moving to the area. Whilst restrictions may apply, the gardens are very well kept by a selected committee and provide a sense of local community spirit with events for residents to attend. There are a number of restaurants located in Earls Court, notably on Old Brompton Road, Earls Court Road and Hogarth Road. Whilst Chelsea and Kensington are excellent locations for bars and nightclubs. Earls Court is home to a variety of restaurants to suit many who would like to enjoy a quiet evening in out. Sought after schools included are Bousfield Primary School and the Lycee Francaise being a 10 minute walk from the area. Earls Court has a variety of educational opportunities with more than 5 schools, ranging from primary to A-level tuition. The area is renowned for its excellent variety of links to all districts of London, including Heathrow Airport and Victoria mainline, Underground and coach stations. Earls Court is the main junction for the District and Piccadilly Line, has a wide selection of bus routes to Kensington High Street and Chelsea, and has the A4 on its door stop offering fantastic connection for central London and to the M4. Due to Earls Court being in the Royal Borough of Kensington and Chelsea, residents can apply for a parking permit from the local council whereby they can park throughout the Borough in permitted locations, subject to availability. 44 Old Brompton Rd, , London, SW7 3DY. Our estate agents in Earls Court are specialists in providing property for sale and lettings in and around SW5. 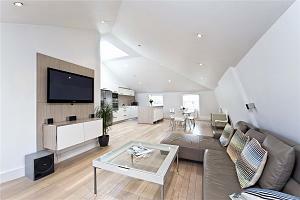 If you are looking for a property in Earls Court, please get in touch by phone or email.